Ciena is providing an end-to-end multi-Terabit upgrade that will enable a flexible supply of network capacity for the expansion of the Europe India Gateway's (EIG) international submarine cable system. Ciena's intelligent control plane and switching technologies will also ensure that the EIG network is equipped with the programmability to scale on-demand in the future. As the first direct, high-bandwidth, optical fibre submarine cable system from the United Kingdom to India, the EIG upgrade, with OTN and Mesh capabilities, ensures service reliability and enables transparent, data friendly services to support the growing demand for Internet connectivity and bandwidth-intensive applications such as e-commerce, data, video and voice services. Demand for data services between Europe and Asia is expected to grow at an average of 38 percent per year in the next six years, as reported by the TeleGeography (Global Bandwidth Forecast Service, Q1 2014). The Europe India Gateway (EIG) cable system, spanning approximately 15,000 kilometers, connects 12 countries across three continents, enhancing capacity and providing much needed diversity for broadband traffic connecting Western Europe with the Mediterranean, Middle East, Africa and India. 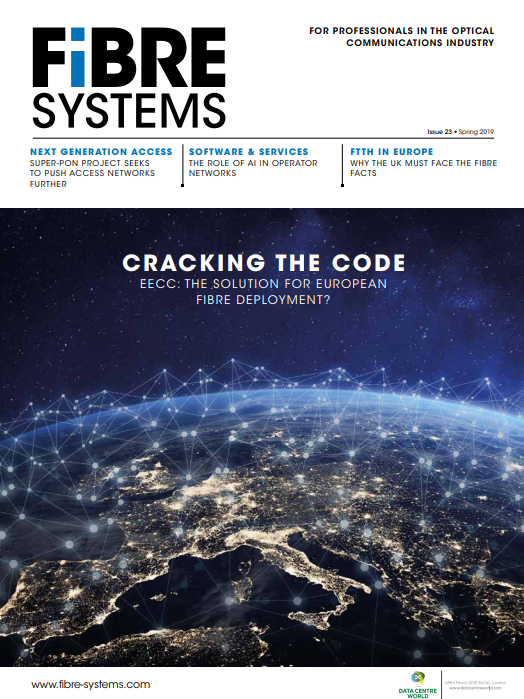 Given the strategic importance of this network corridor, this network upgrade allows EIG's consortium members to satisfy their immediate needs for redundancy and resiliency in their network architectures. The first phase of the EIG cable upgrade - from the United Kingdom to Djibouti - is complete; with phase two - enhancing the cable capability to India - underway. Ciena's GeoMesh submarine solution, using the OneControl Unified Management System, combined with the 6500 Packet-Optical Platform and optical bypass, gives EIG an end-to-end view of both its terrestrial and submarine networks. The 100G wavelengths installed for EIG will be able to seamlessly offer 10G and 100G services. EIG's flexible network architecture, an example of Ciena's OPn network architecture that enables programmable and scalable network designs, also benefits from Ciena's 5400 Packet-Optical Reconfigurable Switching System, which switches and protects both SDH and OTN traffic to key points in EIG's network. Ciena's OneConnect Intelligent Control Plane with mesh restoration automates provisioning across EIG's entire terrestrial and subsea network, ensuring optimised traffic routing, and enhanced network resiliency and availability – allowing the submarine cable to meet the unique needs of sixteen consortium members with added speed and simplicity.